This amazing Luau themed water slide features a super fast sliding surface and easy to climb steps perfect for kids and adults. 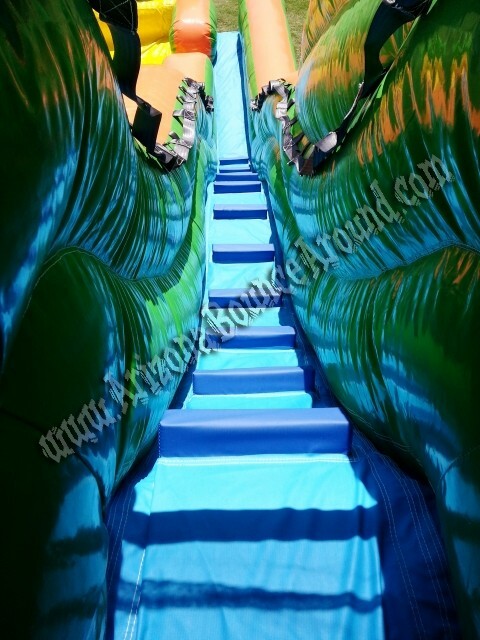 This 19 foot tall Luau Tiki water slide has a bumpy or wavy slide surface giving the slider a much better ride similar to water slides at a water park and will be a hit at your next party or event. This water slide has a really shallow splash pool at the bottom so the water stays very clean while in use. We also have this slide in a dual lane version for even more output. Scroll down for even more photos of this Luau themed water slide rental. This Luau water slide must be set up on real grass in good condition. We can set this water slide up on clean concrete, asphalt and some other surfaces with the addition of sand bags. Please add $50 for sand bag rental. 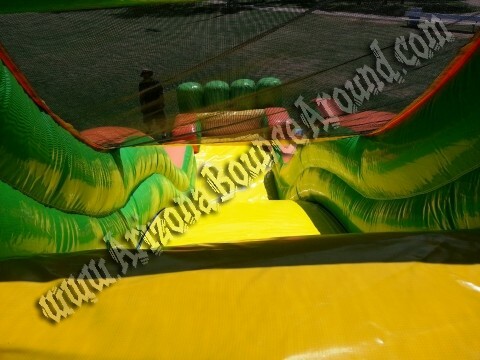 We do not set up water slides on dirt, sand or grass in poor condition. 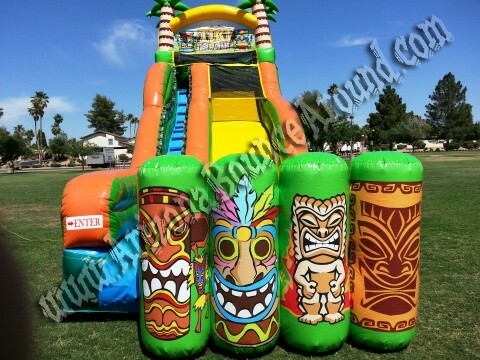 Gravity Play Events is your inflatable Luau tiki themed water slide rental super store with the best selection of inflatable water slides in Colorado. Check out more of our cool summer time games and photo booths to capture your party guest in great humor and silly faces. How about adding a dive in movie to your pool or Luau party.